Turn detective to troubleshoot AC drives for a quick resolution that will save time and money at a manufacturing plant. AC drives are an integral part of any manufacturing plant, as they often are responsible for controlling critical processes. 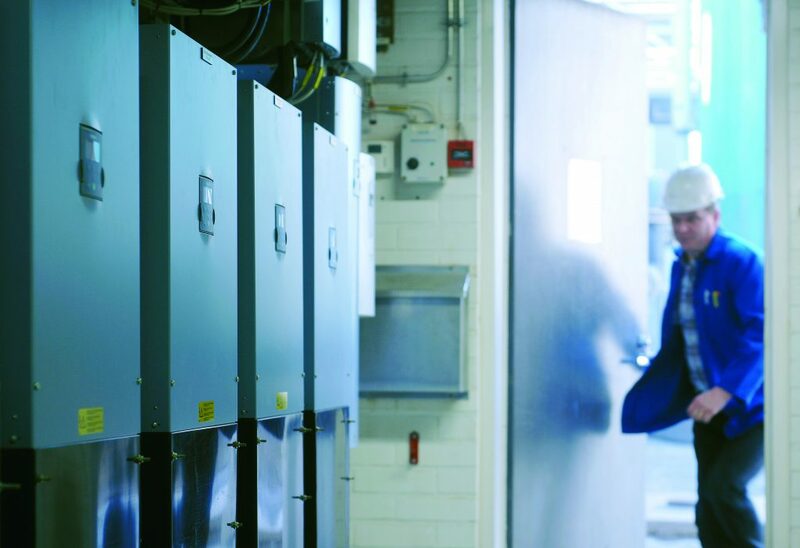 The proper operation of AC drives can mean reliable and efficient plant performance, less downtime and reduced energy costs, all of which equate to saving substantial amounts of money. However, when a possible problem arises with a drive, it is imperative to take quick action to resolve the problem. Was the operator or the process owner happy with the way the drive worked for some time after commissioning? Did the unit function acceptably for some period, for example, a month? Is there any data on the commissioning process available for reference (such as setup sheets, schematics, or configuration files)? Has the process changed? Has any other equipment been added in the same vicinity, perhaps sharing the same source? The performance and calibration of the drive may need to change with these changes. What is the performance complaint? Is the problem really drive-related, or is other equipment involved? The point here is to troubleshoot an application, not just a drive. Keeping an open mind is critical. Each manufactured product will have a specific set of fault codes; the list of these codes is an integral part of your troubleshooting ‘kit’. Many manufacturers have several series of drive product; there is a great deal of consistency in the meaning of these codes from compact to premium products. 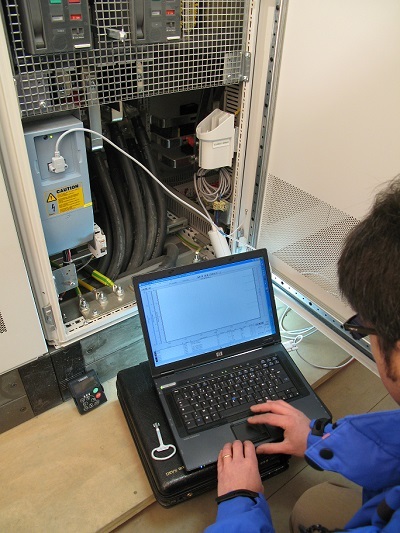 Fault logs also are available to allow the technician to extract information about how the drive was running at the time of each of the faults logged by the drive. While interpretation is still required, many manufacturers are providing software tools that can allow you to extract the parameter set and fault log from the drive. When dealing with 20–50 faults logged by the drive, along with related operational parameters, this data can be difficult to gather. These tools also offer you the chance to compare the current parameter set with where it was on commissioning day and how varied it may be from factory default values. Many such software tools allow you to trend data on a screen to allow you to use your PC as a virtual oscilloscope for more detailed analysis of conditions. Each of these data files are very important if you want to solicit input from a technical support contact at the factory. Having these files available to email a support engineer can allow him to become familiar enough with your application to provide effective and prompt support from a remote location. Once the facts have been gathered, the next step is to assess what makes sense to handle the repairs of the drives. Many times, keeping a spare drive on the shelf could be appropriate. Many power ratings typically are delivered in the same physical frame. That means you might want to have a 1.5 kW (2 Hp) on the shelf to support the lower end of the power ratings, and 3.7 kW (5 Hp), 15 kW (20 Hp), 30 kW (40 Hp), etc. applying the same logic. However, this is not an insignificant investment and is not always practical. Furthermore, most drives do have a shelf life, so stocking units for replacement spares – while an attractive idea – can present problems. Either some inventory controls on the part of your supplier or your own may make this less of a problem. Proper handling of spare units can help limit the risk of sensitive shelf life on repair efforts. For more information on these risks, research ‘capacitor reforming’. There are commonly three classes of standard AC drives: compact, standard, and premium. Smaller units of all these product classes frequently are considered non-repairable. As you move up in product size and complexity, it’s easier to provide component parts that make sense rather than opting for full replacements. Your drive manufacturer can supply you with a parts breakdown of what makes sense to stock in support of your equipment. The more important replacement parts are the ones that have things connected to them, like control boards, or touch, like keypads and adjustments. Also, having replacement cooling fans as a field replacement is a good idea. Like most industries, the maintenance of drives is developing into a bit of a specialty. Suppliers, working with local contractors, are developing service (depot repair and on-site) contracts, planned replacements, and upgrade plans along with extended warranties. These can run up to five or six years, if that makes sense for your operation. Onsite repair is a necessity when the size of the unit grows to greater than about 37 kW (50 Hp) to 75 kW (100 Hp). It’s important to remember that AC drives are complex electronic equipment and that they operate as part of an application. Properly troubleshooting and maintaining this equipment can help you to be more effective in managing the process in your facility and keeping your plant running effectively. In order to effectively troubleshoot an AC drive, you need the skills of a plant professional and the keen eye of a detective. Is proper power being applied to the unit? What information can be gathered from the drive’s display or operating panel? How is the process controlled? Is there a fieldbus network involved, such as Modbus, DeviceNet, Ethernet, or EtherCAT? Is it controlling the process, or only monitoring the process? Is there a flaw in the data being transmitted or collected? Is there an acceptable process signal, and how is that signal being supplied? If the drive display is active, are any fault codes delivered that might help with the analysis of the problem. If you have any questions about troubleshooting, don’t hesitate to post a comment in the box below. We’re here to help. For Danfoss Drives, the term ‘services’ is related to much more than offering help in the case of an issue. It’s about making your life easier by supporting you at every step along the way. We provide you with ongoing support to ensure the maximum availability of your processes both now and in the future.